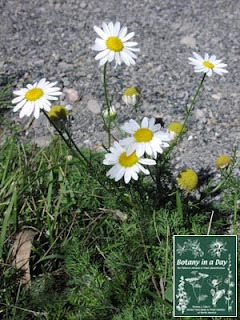 Rehab Or Die: Not Chamomile? Nope. Looks like some type of mum to me, which is in the aster family. I updated the blog to include what I think it the answer, Jessica, but thanks for offering help! Turns out that Asters are an entire family of flowers, so almost EVERYTHING flowering in my garden is an Aster of some variety or other. From Sunflowers, to thistles, to daisies, dahlias to artichokes... all asters. Who knew? 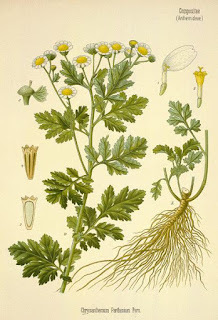 I do believe it is feverfew (which is a medicinal plant) I have a few of the exact same plant you posted, growing in my yard. Feverfew is what I settled with after much exhausted googling.